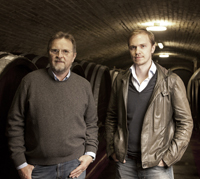 The House of Stadlmann’s history of winemaking dates back seven generations to as early as 1780. The estate is located in Thermonregion, 20 minutes south of Vienna. Johann Stadlmann VII gained additional experience in wine-growing estates in Alsace, Germany and Alto Adige, Italy. He is one of the region’s key wine personalities. No manipulation, but harmony with nature, this has always been the credo of the Stadlmann family. Their two main varietals are indigenous to Thermenregion: Zierfandler (from which they make their hallmark wine) and Rotgipfler. These varietals date from the days of the Hapsburg Empire, and were the Emperor’s favorite wines. Climate: Sheltered from the cold winds of the north by the Anninger, the last big foothill of the Vienna Woods, and influenced by the mild Pannonic climate from the southeast. 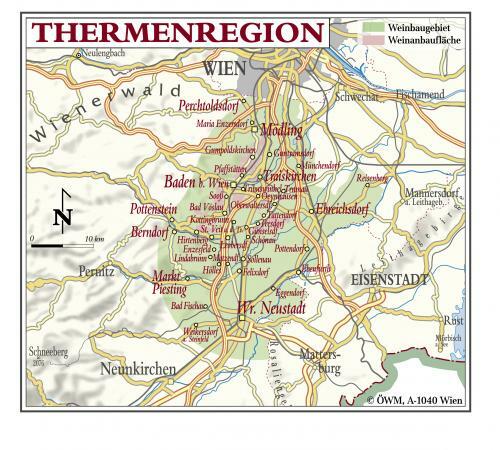 The Thermenregion is among Austria’s warmest and most beautiful wine-growing areas, comparable to the regions of Burgundy and Alsace. Vinification and Grapes: If the vintage or vine variety requires it, stainless-steel tanks and/or bug used wood barrels are used. Even for Chardonnay and Cabernet Sauvignon, no barriques are used. As a result, the wines are full of character and typical of the variety. The red wines designated “Classic” are aged primarily in large wooden barrels, however the “Reserve” reds are aged in small oak casks for up to 18 months.